2. 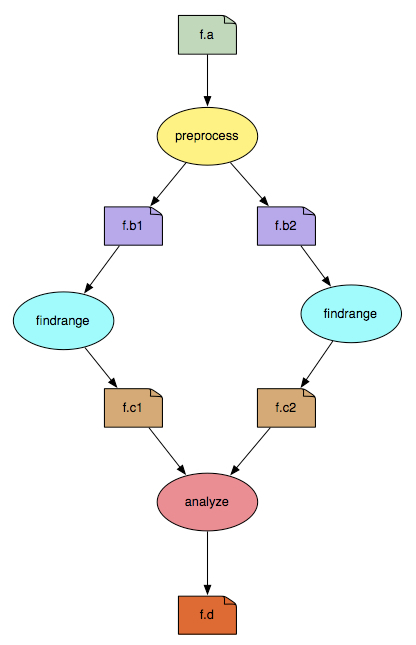 What are Scientific Workflows? This section contains an overview of scientific workflows, Pegasus, and how containers fits into Pegasus workflows. We will not have time to thoroughly cover all aspects of Pegasus - for future reference please see the user guide and self guided tutorial. Pegasus WMS is a configurable system for mapping and executing abstract application workflows over a wide range of execution environments including a laptop, a campus cluster, a Grid, or a commercial or academic cloud. Today, Pegasus runs workflows on Amazon EC2, Google Compute Engine, Open Science Grid, XSEDE, and campus clusters. One workflow can run on a single system or across a heterogeneous set of resources. Portability / Reuse. User created workflows can easily be run in different environments without alteration. Pegasus currently runs workflows on top of Condor, Grid infrastrucutures such as Open Science Grid and TeraGrid, Amazon EC2, Nimbus, and many campus clusters. The same workflow can run on a single system or across a heterogeneous set of resources. Performance. The Pegasus mapper can reorder, group, and prioritize tasks in order to increase the overall workflow performance. Scalability. Pegasus can easily scale both the size of the workflow, and the resources that the workflow is distributed over. Pegasus runs workflows ranging from just a few computational tasks up to millions of tasks. The number of resources involved in executing a workflow can scale as needed without any impediments to performance. Provenance. By default, all jobs in Pegasus are launched via the kickstart process that captures runtime provenance of the job and helps in debugging. The provenance data is collected in a database, and the data can be summarised with tools such as pegasus-statistics, pegasus-plots, or directly with SQL queries. Data Management. Pegasus handles replica selection, data transfers and output registrations in data catalogs. These tasks are added to a workflow as auxilliary jobs by the Pegasus planner. Reliability. Jobs and data transfers are automatically retried in case of failures. Debugging tools such as pegasus-analyzer helps the user to debug the workflow in case of non-recoverable failures. Error Recovery. 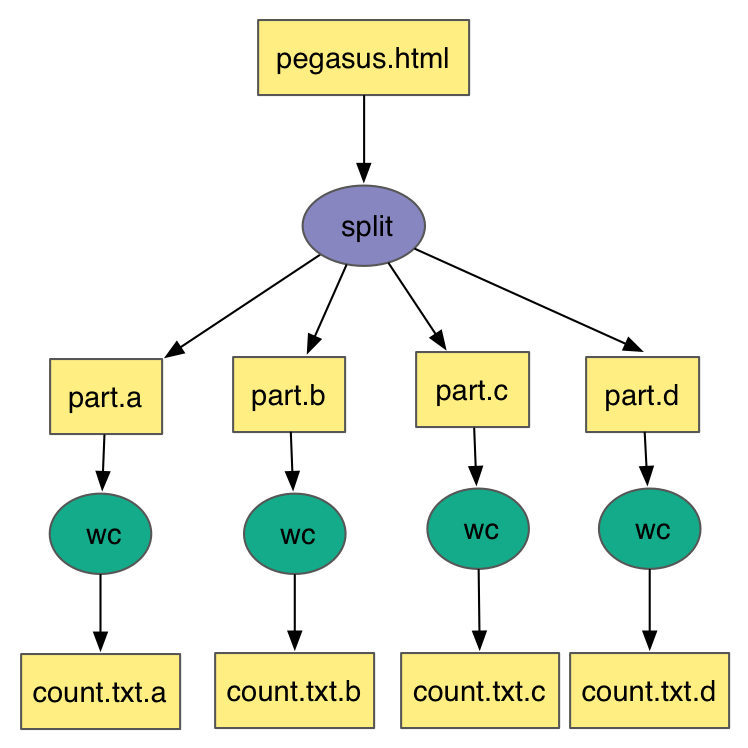 When errors occur, Pegasus tries to recover when possible by retrying tasks, by retrying the entire workflow, by providing workflow-level checkpointing, by re-mapping portions of the workflow, by trying alternative data sources for staging data, and, when all else fails, by providing a rescue workflow containing a description of only the work that remains to be done. It cleans up storage as the workflow is executed so that data-intensive workflows have enough space to execute on storage-constrained resource. Pegasus keeps track of what has been done (provenance) including the locations of data used and produced, and which software was used with which parameters. This script will run a small Python program ( daxgen.py ) that generates a file with a .dax extension using the Pegasus Python API. Pegasus reads the DAX and generates an executable HTCondor workflow that is run on an execution site. By default, the workflow is setup to run on the compute sites (i.e sites with handle other than “local”) defined in the sites.xml file. In our example, the workflow will run on a site named “condorpool” in the sites.xml file. 1 job(s) submitted to cluster 920589. Now when we have a basic understanding of what a Pegasus workflow looks like, let’s use containers to run some real science codes. 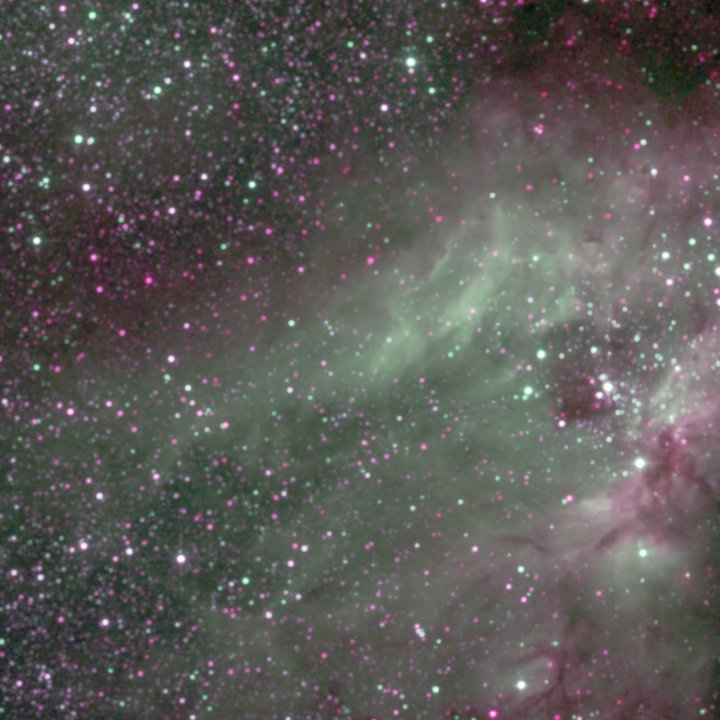 This example is based on IPAC’s Montage toolkit, which is used to process and create astronomical image mosaics of from telescope images datasets. The workflow has a few software dependencies: Montage obviously, but also Python modules like AstroPy. These could be installed on the cluster you want to run the workflow on, but using containers makes it even easier! Which is the same container we used for the data find step. Note that container images is just like any other piece of data to Pegasus. In this case, the image will be downloaded once from the Singularity Hub, and then shipped around to the jobs with the same mechanism as any other data in the workflow. The ./mProject_ID0000002-cont.sh is a script generated at runtime, containing the execution of the user codes.